The G20 meeting in Toronto in June was remarkable in only one respect. The familiar protests, the police in the streets, the hob-nobbing of the leaders were all on show. But, what was extraordinary, if not unexpected, was the speed with which most of the world’s most powerful leaders headed back to familiar territory – not to say, political prejudices – and not only embraced again the very nostrums that had brought about the global financial crisis in the first place, but used the crisis as an excuse to press for a smaller state and a decimated public sector, even though that threatens a renewed dip into recession. This perverse reaction to the manifest failure of the model that had been so enthusiastically constructed over a 30-year period was a feature of not only the G20 meeting. It has characterised the responses of many individual governments around the world, and has certainly reared its head in New Zealand. Contrary to the expectations of many of us that the global financial crisis would be seen as a conclusive judgment on the failures of neo-liberal doctrine, it is the right that seems to have emerged, for the time being at least, unscathed and emboldened by the failure of their policies. It is worth reminding ourselves of the precise lessons that the global financial crisis should, and briefly appeared to, have taught us. 1. Markets are not self-correcting. This simple and obvious proposition, so strongly confirmed by the failure of many of the world’s financial institutions, had been conveniently overlooked and even flatly denied by neo-liberal theorists. They chose to believe that operators in a market are perfectly informed and enjoy a parity of bargaining power and that market outcomes are therefore the best available and should not be second-guessed. We now know that this is self-serving nonsense, and that the natural tendency of the unregulated market is to lead to excess, irresponsibility, inefficiency and eventually collapse. 2. Financial markets are especially prone to excess. The huge power wielded by the manipulators of international capital and the unprecedented wealth gained by operators in financial markets, resting largely on their ability to create new forms of financial assets out of nothing, led many to believe that they were the lords of the universe and could do no wrong. But, as Keynes pointed out, financial markets are the most likely to fail, depending as they do so much on hunch and guesswork and on assets whose value depends on subjective assessment and uncertain futures rather than on objective criteria. 3. Risk cannot be quantified according to reliable mathematical formulae. A great deal of modern economics has been driven by esoteric work aimed at providing an apparently reliable basis on which risk can be quantified. It was on this basis that much of what are now recognised as having been worthless assets were happily traded from one interest to another, each trader taking a profit as the asset appeared to grow in value as it passed from hand to hand. The huge superstructure of debt and valueless assets, built initially on the sub-prime mortgage market, eventually came crashing down. 4. Decisions taken by business leaders alone are a poor guide to a successful economy and society. Business leaders have been so eulogised over recent decades that many people were persuaded that more and more decisions affecting our lives should be handed over to them, and that they could be more trusted in many cases than our elected leaders. We now know that business decisions are invariably taken for reasons of self-interest and take little account of wider or longer-term interests. Those countries – like the US and the UK – that most enthusiastically accepted that societies should be run in the business interest are those which have, on the whole, suffered the most severe consequences of business failures, with the greatest damage to the social fabric and environmental sustainability. 5. Increasing the wealth of the rich so that inequality widens does not produce a better economy or a stronger society. The “trickle-down” theory was often used to support the proposition that, if the rich got proportionately richer, the rest of us would benefit in absolute even if not comparative terms from the lift in economic activity that the increased wealth of the rich would produce through increased investment and employment. This theory has been discredited in the absence of any credible evidence to support it, and in the face of evidence to the contrary that shows that in countries where inequality has widened the most, the living standards of the poor have actually declined. 6. Government matters. Contrary to the constantly repeated mantra that the best thing that government can do is to “get off our backs”, the global crisis shows that in the end it is only governments that have the resources, will and legitimacy to underpin a failed banking system and therefore the currency and the economy more generally. Without decisive government intervention, the recession would undoubtedly have become a depression. In a recession, governments have a duty to act against market logic in a way that individuals, either people or corporations, cannot. 7. The market cannot perform effectively without government help. The great benefits of the market can be optimised only if government, too, plays its part. The government must do those things in economic terms, like investing in fundamental infrastructure, that the market cannot do. It must protect wider and longer-term interests that the market treats only as potential (and preferably “externalisable”) costs – interests such as those of people who are left behind by the market, or the value of a whole, healthy and integrated society, or the importance of maintaining scarce resources and a clean and sustainable environment. It must correct mistakes made by the market and regulate the market to avoid excess and failure. 8. If the market cannot be challenged, the whole point of democracy is lost. The most significant aspect of the global economy that has developed over the past three decades has been the extent to which governments have been sidelined by the power of international investors to move capital around the world, and to hold governments to ransom by withholding investment if their requirements are not meant. The role of democratic government is, after all, to bring the power and legitimacy of the people’s will to bear so as to offset what would otherwise be the overwhelming economic power of capital. If the market is held to be infallible, and government must not intervene, we not only produce bad economic and social outcomes; we lose the point and effectiveness of democracy itself. None of these conclusions is revolutionary or even particularly radical. Each is evidence-based and arrived at through the merest common sense based on our own recent experience. This makes it all the more remarkable that these lessons are increasingly discounted by world leaders as they move into what we might all have hoped would be a post-crisis environment. New Zealand is not, of course, a member of the G20. We would be mistaken to think, however, that we had not been infected by, and contributed to, the emerging consensus as to the best response to make to the crisis. And, in our case, we can add the lessons from our own less than glittering performance to those that can be drawn from the global experience. For New Zealand, the global financial crisis came on top of our own home-grown recession. By the time Lehman Brothers collapsed, we were completing our third quarter of decline in a recession that for us had begun at the end of 2007, and that was the latest episode in a tale of economic under-performance that had extended for 25 years or more. Paradoxically, our early experience of our own recession may have led us to understate the significance of the global recession. When it struck, around September 2008, we felt that we had already weathered much of the storm, particularly when our own, Australian-owned, banking system seemed relatively immune from the global collapse. 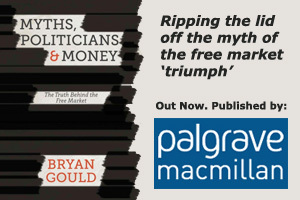 The truth is, of course, that while we have been sheltered from the worst of the global recession by the buoyancy of our main markets in China and Australia, and the relative stability of our banking system, the deleterious consequences of the recession are still working their way through our economy and are proving very difficult to dislodge. The lessons from the crisis are just as applicable to us as they are elsewhere – and just as likely, it seems, to be ignored. Indeed, our enthusiasm to apply the free-market agenda further and faster than anyone else has given us particular reason to pause and reflect. It is only our small size and inability to develop a large-scale financial sector that has protected us from the worst ravages of the global crisis. But, our commitment to neo-liberal policies has meant that, in addition to the lessons to be learnt from the global outfall, we have our own lessons to learn and apply, by virtue of the fact that we have committed a series of mistakes over a long period that are all of our own making. If we are to bring the recession to an end, instead of just bumping along on the bottom, and if we are to usher in an era of improved economic performance, it is essential in other words that we learn not only the more widely applicable lessons but also those that should hit us in the eye when we review our own recent experience. 1. Free trade is not always the best option. It has long been accepted as an article of faith in New Zealand, ever since the end of managed trade brought about by the UK’s accession to the Common Market, that we can do nothing but benefit from the widest possible extension of free trade. The issue has rarely been ventilated or debated; it is simply accepted as axiomatic that free trade is beneficial in practice and correct in principle. That conviction continues to drive policy. There has been a veritable explosion in free trade agreements over recent years, culminating most importantly with a free trade agreement in 2008 with China and now the prospect of an extension of the earlier P4 agreement with Chile, Singapore and Brunei to include – most importantly – the United States. We continue to be assured that free trade will best serve our interests. The argument is typically conducted by paying great attention to any increase in exports that could be attributed to free trade and ignoring other less convenient factors. The sharp increase in our exports to China, for example, is said to be a direct consequence of the free trade agreement; but the agreement has been in force for only a year, so most of the increase precedes and is not attributable to the agreement, is largely a function of the fact that China – almost uniquely – has continued to grow through the recession, and has occurred at the expense of an even greater increase in Chinese exports to New Zealand (and consequent loss of jobs and domestic manufacturing) over the same period. We might have expected that this dogged pursuit of free trade would have demonstrated its benefits to our exports and growth rate over the period. But, on the contrary, both have languished and are well behind comparable levels for other countries, and particularly for Australia. The experience of other countries also shows that free trade is not invariably the right option, but its appropriateness depends on the stage of development by comparison with trade partners and competitors. Developing countries, for example, have usually found some form of protection to be helpful until they build up their economic strength and both Japan and China have trodden that path. The Chinese are still sceptical of the benefits of free trade and it is no accident that they have so far chosen only New Zealand as a free trade partner. We, however, seem convinced that we can prosper in the face of direct competition from some of the most powerful and efficient economies in the world. We might do better to regard ourselves as a developing economy and to behave accordingly. 2. Foreign investment is not beneficial if the effect is to sell off existing capacity rather than develop new capacity. New Zealand, true to its overnight conversion to free markets and the free movement of capital, has opened its doors to foreign capital to a greater degree than any other comparable country. We have sold a greater proportion of our economy into foreign ownership than any other developed country. This has been partly a matter of choice, based on ideological conviction, and partly – though not advertised in this way – a matter of necessity; the proceeds of selling our assets into foreign ownership have been an important, not to say essential, factor in balancing overseas accounts that our economic failures have condemned to serious deficit. It might be thought that this sell-off was a once-for-all effort to balance our books and is now behind us. The figures show, however, that the process continues apace. By March 2008, we had sold off $93.3 billion’s worth of our assets, up 900% from 1989. We soon won’t have anything left to sell. The consequences for our economy have been disastrous. A current account in perennial deficit (eased only temporarily by the slow-down in imports caused by the recession) has been further burdened by the repatriation of profits to foreign owners, adding to the interest payments we must make to that other group of foreign owners (the proverbial Japanese housewife and Belgian dentist) who help fill the hole in our accounts by buying short-term debt as a response to our very high interest rates. The repatriated profits represent not only a drain on our foreign accounts but a very real loss of national wealth that could otherwise be applied to raising living standards and public services in this country. That loss is not merely economic. We also suffer a very real diminution in our ability to control our own affairs. Increasingly, under foreign ownership, decisions over major parts of our economy are taken in Sydney or Los Angeles or Shanghai. New Zealand jobs and businesses depend on people in boardrooms where our interests are remote from their concerns. 3. The government’s role in a successful economy should not be limited to trying to control inflation through adjusting interest rates. It is hard to separate New Zealand’s relatively poor performance over the past 25 years – something that has increasingly concerned successive governments as we have dropped down the OECD tables – from the policies pursued by those self-same governments. Our policy-makers have insisted that the only important goal of policy is the control of inflation, that that is simply achieved by controlling the money supply, that there is only one instrument – interest rates – that is effective to control the money supply, and that that instrument is best placed in the hands of a central bank whose decisions cannot and should not be challenged. The consequences of this extremely narrow view of policy are there for all to see. Even in its own terms, the policy has struggled to succeed. The control of inflation has proved increasingly difficult, and achieved only at considerable and growing cost to other objectives; even the Governor of the Reserve Bank has complained that interest rates alone are no longer an adequate instrument even for this narrowly defined task. The real failures become apparent, however, only when the focus is widened to include other desirable economic goals, such as sustainable growth rates, full employment, well-directed investment, effective public services, a cohesive society and acceptable living standards. It is in these areas that we have failed, and have fallen markedly behind our trans-Tasman neighbours in particular. The average New Zealand family would need at least a 40% increase in real income to reach Australian standards. Little wonder that our economic performance is constantly undermined by the flight of skills and talents across the Tasman! What seems to be a simple mechanism for dealing with inflation has become, in other words, a major deterrent to a better economic performance. The high interest rates apparently needed to control inflation make investment more expensive, favour wealth owners rather than wealth creators, stimulate a rise in the exchange rate that handicaps our own production in markets both at home and overseas, inhibits our investment, distorts our balance of trade, and then – to complete the vicious circle – requires a further round of high interest rates to attract the short-term “hot” money that is needed to fill the hole in our balance our payments. These problems will not be overcome without an “agonising reappraisal” of the policy we have doggedly pursued without success for 25 years. The global financial crisis might have been thought to offer just the opportunity we need for such a reappraisal; the evidence is though that we are intent on both overcoming the recession and correcting our own individual past failures by returning stubbornly to the policies that have consistently failed us. However clear the lessons – both from the global recession and from our own longer-established New Zealand disappointments – our leaders both overseas and at home seem determined to ignore them at the first opportunity. It is already clear that the majority of the world’s governments are keen to return to business as usual, and to reproduce the errors that produced and compounded the crisis in the first place. What are those errors? 1. The first priority is to deal with the deficit. Governments around the world, with few exceptions, have responded to the post-crisis environment by insisting that governments that had moved into deficit in a partially successful attempt to avert depression should now concentrate on cutting their spending so as to balance their books. Nothing is more likely to risk a “double dip” recession. Governments in Europe, Britain and here in New Zealand have succumbed to one of the most common fallacies of economic policy – that governments are no different from individual actors in the economy and should behave accordingly. According to this view, if a recession means that individual people or corporations should retrench and cut their spending and investment, so too should governments. If reduced government spending – not to say savage cuts – should mean that people are thrown out of work, so be it; the deficit will otherwise hang over our heads for years to come. It is hard to detect any rationality in this view. The best way of getting a government deficit down is to restore the level of tax revenue. A buoyant economy will generate a buoyant level of revenue. An economy that is flat on its back for the second time, on the other hand, will ensure that the deficit is persistent and deeply entrenched. You don’t get your deficit down by throwing people out of work. But, say the “deficit hawks”, the deficit needs to be funded, and the money markets will lend for that purpose only if they see strenuous efforts to get the deficit down. But this is to allow prejudice – a visceral dislike of public spending per se – to displace rationality. As Paul Krugman points out, our policy-makers run scared of the “bond vigilantes” on the one hand, and seem on the other to have a naïve believe that the “confidence fairy” will somehow convert policies that are intended to produce retrenchment into a recipe for recovery. And, since it was only a year ago that the financial sector was totally dependent on public finance for its very survival, how is it that their fantasies are again so soon able to dictate terms to the rest of us? These fallacies certainly seem increasingly to dictate policy in Europe and Britain and are alive and well in New Zealand. Our own government has been lucky in that living with the recession has been easier than it might have been, because our export markets have held up surprisingly well – not least because the Australians pursued a braver and more stimulatory course than we did. But it is becoming increasingly clear that the recession in New Zealand is proving stubbornly difficult to move; we continue to bump along the bottom with no real recovery in sight. The recession will be longer and more serious because we give priority to getting our (perfectly manageable) deficit down, rather than to ensuring that government plays its full part in helping recovery. This is a triumph of ideology over common sense. And that brings us to the next error. 2. The deficit provides a good reason for cutting back on the public sector in any case. In both Britain and New Zealand, the emergence of a counter-recessionary government deficit has coincided with the election of a right-wing government. In both countries, the response has been to focus on getting the deficit down, rather than on trading our way out of recession. In both cases, the suspicion must be that the opportunity to trim back the public sector for largely ideological reasons under the guise of dealing with the deficit has been too tempting to resist. The result has been and will be in both countries a substantial loss of jobs in the public sector, and a dangerous drop in the level of public services, including support for the poorest, just at a time when they are most needed. And while public sector cuts may seem easy to make in the short term, the longer-term consequences can be severe – Cave Creek comes to mind. The rationale for these measures – that otherwise the public sector’s demand for resources will crowd out necessary investment in the private sector – is simply not credible at a time when the economy is operating so far below capacity. It is hardly helping the private sector to throw a substantial portion of their customers on the dole. The projection might of course become self-fulfilling if mistaken policies are maintained long enough to mean that capacity does fall as resources that are kept out of use simply lose their economic value and utility. 3. The banks must be protected at all costs. The determination on the part of many governments to respond to the recession by cutting back the public sector, and therefore the role of government, is all the more surprising when it was the public purse that had to be opened, at the taxpayer’s expense, in order to save the global economy from the consequences of the private financial sector’s irresponsibility. The sharply increased indebtedness of governments around the world is the direct result of the money borrowed and spent on bailing out a failed banking sector; in addition, the current deficits in government accounts are a secondary outcome, via a recession-induced slump in government revenues, of the same failure. Rather than sheet the responsibility and the burden home to where they belong, however, governments have spent billions on helping the banks to shore up their balance sheets, with the perhaps unintended result that the banks have continued to pay out massive bonuses to their employees. It is the taxpayer that must now pay the burden, not just in repaying borrowings made to deal with the crisis, but in suffering the cutbacks in public services and the loss of jobs that are the inevitable consequences of current policies. The G20 were not even able to compel the banks to accept, as had been foreshadowed, tighter rules about capital reserves and lending ratios. While President Obama has introduced tighter regulation of US banks, other governments have dragged the chain – and, while individual voices have been raised in support of measures like a Tobin tax on financial transactions, no government has so far given them consideration. In view of this timidity in dealing with the banks, we cannot be surprised that no one apparently stopped to wonder why, if the taxpayers put up the money, they did not acquire the ownership interest – and, even more pointedly, why it did not occur to anyone that, if banking so obviously relies in the last resort on underpinning by the public purse, we should perhaps recognise that banking is in essence a public function. 4. Free trade is the only answer. Our experience in New Zealand of free trade over 25 years, during which the much-touted benefits have failed to materialise, has not deterred our policy-makers from pressing on. Potential free trade agreements are now coming thick and fast, and include most recently a Trans Pacific Partnership Agreement which would, if completed, bring us into a free trade relationship with, amongst others, the United States. Typically, the attempt is being made to sell the deal by focusing entirely on the supposed benefits to our dairy exports, despite the growing evidence that powerful American interests are making it their business to ensure that tariff-free access to the American market for those exports will not be made available. Little attention is paid, on the other hand, to the obvious downsides, which include threats to the organisation (through cooperative marketing) of some of our major exports, to our effective strategy (through Pharmac) in keeping down the cost of pharmaceutical imports, and to our (theoretical) ability to resist overseas purchases of our assets. These are remarkable blind spots for a country that seems in any case to have derived so little benefit to its economic performance from two and a half decades of free trade. 5. The sale of our assets to overseas buyers is good for us and our economy. It might be thought that, having sold off a large proportion of our productive capacity and economic infrastructure to overseas owners, and having suffered the consequences of loss of wealth and loss of control over our own economy, to say nothing of the increased burden on our balance of payments, we might be a little chary of going further down that path. Our government, however, is not deterred by our experience or by the blow delivered by the global crisis to the neo-liberal doctrines that apparently endorse the policy of an open market in New Zealand assets; their policy is to further weaken such protections as we still have against an overseas buy-up of our remaining assets and to welcome what they choose to treat as an “expression of confidence” in our economy rather than as a fire sale. This laissez-faire approach has been seen most recently in the Chinese bid to buy a significant part of our dairy industry. That bid, whose effect would be to remove from New Zealand hands, and – in an almost physical sense – from New Zealand itself, a measurable part of our wealth-producing capacity, so that the wealth produced by that capacity went more or less permanently overseas and New Zealanders were left as relatively low-paid wage slaves on what had been their own land, is currently being considered by the Overseas Investment Office as merely a matter, apparently, of the business reputation of the prospective buyers. There is no indication so far that any issue of principle is involved. 6. Private ownership and the profit motive are the best guarantors of economic efficiency. New Zealand, consistently with the commitment of successive governments to the “free” market as the driver of economic efficiency, has a 25-year history of privatisation. Like so much else in the neo-liberal agenda, repeated privatisations have done little to raise the level of performance, and in all too many cases, privatisation has meant only profit-gouging by private owners who have then sold back the enterprises – inadequately invested and saddled with debt – into public ownership; the New Zealand railway system is an obvious case in point. Post-crisis governments, however, including New Zealand’s, have not lost their faith in privatisation as a panacea for all economic ills. The current government is already moving towards a partial privatisation of the Accident Compensation Corporation, and further privatisations – Television New Zealand, for example – are clearly in sight. The fallibilities of the global masters of the world economy have not dimmed the faith of our leaders in the ability of business leaders to work the oracle. 7. There is no alternative to the macro-economic policies that have been pursued for 25 years. It might be thought that the greatest economic upheaval in 75 years might have prompted a re-appraisal of the policies that have served us poorly over two and a half decades. Sadly, this seems not to be the case. To be fair to the Governor of the Reserve Bank, he has indicated from time to time that he is prepared to look at measures to supplement the current reliance on the sole instrument of interest rates, and his requirement on prudential grounds that bank lending should be more responsibly tied to capital reserves may be the first swallow of a new summer. The government, however, shows little interest in widening the goals of policy, or in adding new counter-inflationary instruments to the armoury. As a consequence, there is increasing evidence that, if we were able to haul ourselves painfully out of recession within the current policy framework, any recovery would be quickly knocked on the head by the familiar combination of high interest rates and an overvalued dollar which is already gearing up before our very eyes. Little wonder that investment languishes and recovery is uncertain. It would be easy to subside into despair as we see the greatest economic crisis of most lifetimes – a crisis brought about by manifest and egregious errors of policy and understanding – come and, hopefully, go without apparently disturbing the simple certainties of a self-serving orthodoxy that should surely have been discredited. If, at this precise moment, governments cannot learn lessons and strike out in new and better directions, what hope is there of a better future? There are of course never any final battles in politics or economics. The balance of advantage swings from one position to another in often belated response to our understanding of real events. The consequences of the global financial crisis will be real enough, and our understanding of those consequences will evolve and grow for years to come. We must hope that the lessons will not be driven home all over again by an almost immediate relapse into a double-dip recession, brought about by the failure to recognise what went wrong in the first place and what must be done to correct it. In the meantime, we must equip ourselves with the knowledge and the arguments to carry the debate to those who are reluctant to listen. We should ensure that the lessons are so clear that they cannot be ignored. William Keegan and Will Hutton do not, I suppose, consult each other as they write their respective pieces for The Observer. If their contributions in this week’s paper are read together, however, they make for a compelling combined message, and one that Gordon Brown and his government would do well to learn and apply. First, William Keegan’s piece laments (as I do) the opinion polls that reveal the number of voters who believe that, if they are having to tighten their belts, then the government should do likewise. I suppose it is understandable that people should feel, at a visceral level, that the government has got the country into the mess, and should therefore share in the pain that ordinary citizens are suffering. It is nevertheless disappointing that a gut reaction should take such precedence over economic literacy and common sense. It is even more disappointing, though perhaps more to be expected, that these sentiments should be encouraged by those who should know better. The truth is that government must bear a responsibility not only for allowing the recession to develop but also for the measures needed to counteract it. Governments can and must act to correct market failure in ways that the market, left to itself, cannot. Economies are robust things. They would recover sooner or later without intervention. But – as all but the most purblind now recognise – it is the responsibility of governments to hasten the recovery process, and thereby limit the misery that recession inevitably brings about. The reason for this is that governments, uniquely, have the ability to counter the inevitable tendency of recessions to feed on themselves. For most actors in the economy, the demands of self-interest mean that, in a recession, they spend less, invest less, cut costs, employ fewer people. Each individual decision taken by companies or businessmen may be – indeed usually is – rational and justified, but the cumulative effect for the economy as a whole is that recession is intensified. There are those who wish to resist this line of argument. They are so hostile to the very idea of government that they are reluctant to accept that governments should ever have a special role and responsibility. They argue that governments should act (if at all) as though they were individual people or companies. According to this view, governments in a recession should also cut costs, spend less and lay people off, as though they were just like households or businesses. But, given – whether they like it or not – their importance to the level of economic activity, if governments behave like everyone else, the economy is condemned to a deeper and harsher recession than needs be. As Keynes pointed out, only governments have the capacity and the duty to defy market logic. Only governments have the resources to over-ride what would normally be market-based self-interest and to substitute for it the wider interest in getting the economy as a whole moving again. Only governments can afford to live with and fund long-term indebtedness if that is what is required to protect the interests of their shareholders – and that means everyone. You don’t need to be a Keynesian to accept this; all you need is common sense. At this point, enter Will Hutton. He makes the point that – perhaps belatedly – Gordon Brown and his government have recognised that common sense requires them to use the power of government to fight the recession. As a result, the recession – bad as it is and will yet be – will be shallower and shorter than it would otherwise have been. In doing this, they have opened up a clear and significant gap between their approach and that of the Tory opposition. As far as we can tell, the Tories would have done nothing, other than wring their hands at the inevitable and growing size of the government deficit – and ironically, that very inactivity is the one thing guaranteed to make the deficit bigger. A longer and deeper recession would mean yet more damage to the government’s finances; a less severe recession, counteracted by judicious government spending, would by contrast bring the deficit under control and limit its size. Yet, as Will Hutton points out, Gordon Brown gets no credit for his courageous (and surely correct) stand on the responsibilities of government in a recession. It is his opponents who, for reasons of opportunism, prejudice and perhaps sheer ignorance, continue to make the running. He is not, of course, alone. The right, in the United States, Europe, Australia and New Zealand, continue to exploit public sentiment in order to undermine confidence in the power of government. But surely, for Gordon Brown as for other more enlightened leaders, this is stronger ground on which to fight than the disastrous argument about which party will cut more severely. I remember a young Gordon Brown who, with an eye for a phrase that was hardly new but nevertheless full of meaning, proclaimed that “good government matters”. That has never been more true than at the recession-ravaged present. Why not say so – again and again and again? This article was published in the online Guardian on 27 July.